(Outside Online) What Are the Best Stainless Steel Insulated Water Bottles? Apologies if this has been posted before (the article is two years old). Outside Online reviewed several stainless steel insulated bottles. I found the article reasonably good because they measured the temperature (both hot and cold) change after a set period of time (12 hours for hot and 24 for cold). Thermoregulation: I filled each bottle with a 35-degree water-and-ice mixture. I left each bottle in a room heated to 70 degrees and measured the change in temperature after 24 hours. To test how well the bottles retained heat, I poured 190-degree water into each bottle and then let them sit for 12 hours in my 70-degree kitchen before taking the temperature again. Durability: We kept things reasonable at the start: dropping filled bottles from a porch and workbench, setting them atop a car and driving off, even jettisoning them from a pack while scrambling over rocks. But these bottles withstood the everyday abuse, so we ramped up the punishment: We teed them off a 50-foot cliff with a driver and shot each bottle with birdshot at a gun range. TL:DR Sigg Thermo Classic 0.5L with Tea Filter kept water the hottest with the least temperature drop. Hydroflask Insulated 21 oz Water Bottle was a close second but probably slightly more durable. Re: (Outside Online) What Are the Best Stainless Steel Insulated Water Bottles? Would have been interesting to use one of those thermal imaging cameras on each bottle to see where they are losing heat, and maybe putting the hot bottles in the freezer would be good. I do have an insulated bottle. I like to fill it at night to give me some liquid water in the morning and my Kleen Kanteen seems to work OK for that. If, however, I am out on a day hike I like to take a single wall container. In case of an emergency I can use the bottle to boil water on a fire, an insulated bottle would explode. * i have an Rrtic and a Kleen Kanteen brand, not sure how different they are in performance, but find them useful in camp throughout the year (if a bit bulky and heavy), bought them first on price, about $30-35 each. Following someone's lead on another forum, we recently tested 20oz drinking mugs and found the results interesting*, keeping the hot beverage hot to me is as important as temperature drop in the larger containers. ** you can pay alot for a brand name or pay cheap and seemingly get the same performance. Up here we never leave w/o a "thermos", summer, winter and in-between! The best one I ever had, was a Nissan, made in Japan, it was unbelievable how long it would keep liquides hot... But get dented and it wasn't the same after that! Never been able to find and other one, everything got move to china and they seems to be no better than any other one! I have a few Stanley and thermos that have been great, not as good as the nissan, but really good none the les at a fraction of the price! Agreed. I would have liked to have seen that as well. I just bought a large (like 20+ oz.) insulated stainless steel mug with a lid at WalMart for $7.00. Works great. Can you quantify "works great"? The article linked in the original posting had some pretty specific measures. Do you have a rough idea of how warm/cold your beverage stays after 12/24 hours?? If so I think a lot of people here would prefer to pay 7.00 over 40.00. A stainless drinking mug is not going to keep the heat or cold in for all that long since there is no way to seal off the top entirely. I do have a Reflectix/CCF cap in the build process. But I can tell you, from another forum (I tested that cheapo vs a brand name mug and tests results were almost exactly the same. Hot water, digital thermometer, 3 spots measured at 3 timed intervals up to 1.5 hrs) where I posted...for how long you would expect and typically have a hot or cold beverage in a insulated mug, they are impressive. At $7.47 at my local Wally World (20 oz or 34 oz) SOLD!!! When you need a fully closed thermos style container, nothing else is much of a substitute. Sounds like a deal and a half. I think I will check that out. Is there any brand name or is it just a generic?? 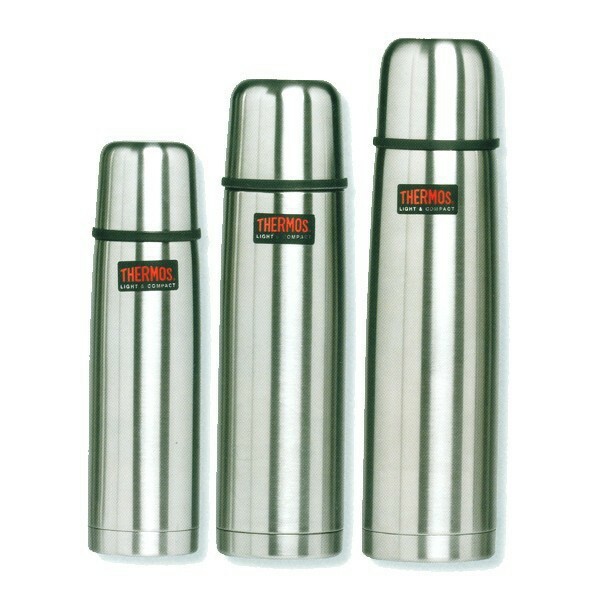 if you want good insulated mug get THERMOS VACUUM INSULATED TUMBLER 470 ML SS. I also have both 1 and 2 liters thermos stainless king . they hold temperature and also withstanding abuse very well. AJM, its the Ozark Trail, which is the Wal_mart house brand. The buzz on the forums is that they are made in the same factory to more or less the same specs as is the Yeti, which is $40 or so. In my quickie test, it outperformed an Engle and an Rtic brand...Once I get past the first small pour of hot beverage, I typically drink up within 15 minutes, often less. Ultimate performance in the mug is then less important to me...my Thermos style 16-64 containers ozs are refilling the cup several times over that first hour or so. Thermos "light & compact" are the best we could find in Europe (no Nissan here so no advice). Be careful : Light and compact are the most expensive one (normal thermos brand bottle, are less expensive but are not so good). My experience is for "light inox bootle", not the heavy one like stanley. A very good improvement is when you could open the insulated bottle easily, with only a small part of the plug to drink (not unscrew it). 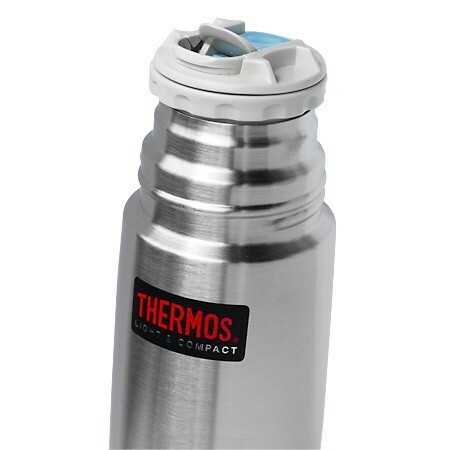 With the thermos "light and compact" it is easy and relatively sturdy. You coul also clean the pouring mechanism quite easily (important if you use soup or sugar liquid). 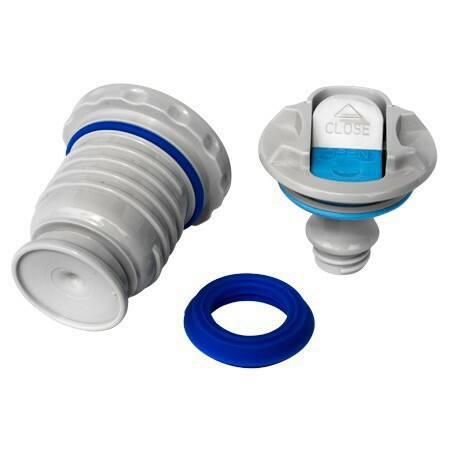 And of course you could also open wide the plug (normal way). With other brands the advanced one hand pourring mechanism is often. But keep in mind that even with thermos "light and compact" the advanced plug is not as sturdy as a simple screw one! The bigger volume the better (it's a matter of surface vs. volume of internal heat). And it is always a good idea to put your bottle in your rucksak with insulated cloth around (but not directly close to down : too dangerous in winter if you have some leak. And one day you will have some leak). Could read english but difficult to write it. AJM, its the Ozark Trail, which is the Wal_mart house brand. The buzz on the forums is that they are made in the same factory to more or less the same specs as is the Yeti, which is $40 or so. In my quickie test, it outperformed an Engle and an Rtic brand..
That's good to know. I had heard there was some Wal-Mart brand that was comparable to Yeti. I am definitely going to check that out. Funny, they aren't available on the official Thermos site. But various on-line retailers (including Amazon Canada) have them. The newer models have a different pouring mechanism. There are some nice stainless double wall "car" bottles out there that fit in cupholders. Mine has a plastic top that opens the hole to drink when you depress a plastic "lever" on the side opposite the drinking hole. That lever can also be locked with a small slide on the top. I prefer this arrangement to regular vacuum type bottles that require you remove a cup/cap AND open a top. Too much to drop in the snow. This setup is good even with mittens.